Indonesian police have found hundreds of books containing Islamic State (IS) propaganda targeting children at the home of a suspect arrested in connection with the stabbing death of an officer, a police spokeswoman said on June 26. The books aimed at children found at the home of the arrested man were written in Indonesian and included pictures and messages supportive of dying in jihad, or holy war, said police spokeswoman Rina Sari Ginting. A day earlier, a police officer was stabbed to death at a police station in Medan, the capital of North Sumatra province. Another suspected militant was shot and killed by police during the attack. 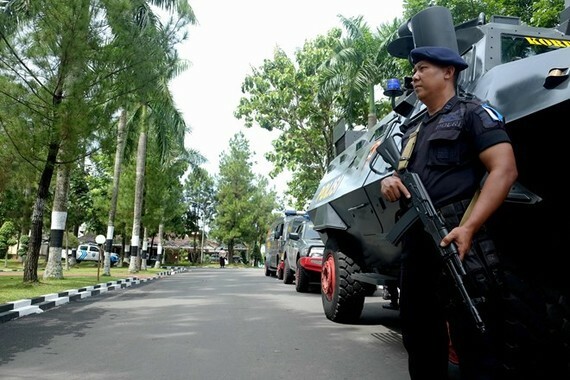 Police believe the men were part of Jemaah Ansharut Daulah (JAD), an umbrella organisation on a US State Department "terrorist" list which supports IS and has hundreds of Indonesian followers. The wife of the arrested man told police her husband had spent six months in Syria in 2013. There is concern about a rise of militancy in Indonesia, which has the world's biggest Muslim population. IS sympathisers have carried out a series of mostly low-level attacks over the past few years, and there are fears about the return of hundreds of Indonesians who have gone to Syria to support IS.